Merry Christmas! I got you a satellite! No, seriously. 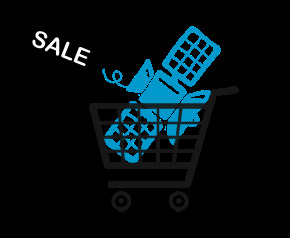 You can buy a satellite for Christmas. Or Hannukah. Or New Years. Easter. Tuesday. Whatevs. The company that owns the world's most capable communications satellite has just filed for bankruptcy protection. The NGO A Human Right wants to buy that satellite and move it over a country (or continent) that could use internet access. A Human Right believes “equal, universal, uninhibited Internet access is a human right,” so they are trying to raise $150k in order to purchase “the most capable communications satellite put into space” so they can use it to provide poor people (in Papau New Guinea to start and then maybe the whole of Africa) with free Internet service. If this works the satellite will be used to offer a diminished service for free to everyone. Then they'll allow telecommunications companies to purchase and re-sell high speed bandwidth because the goal is to not only get everyone online, but also facilitate the growth of an industry & hey...someone's got to pay the bills. Check out their page on Facebook, too. I received this email this morning from A Human Right and wanted to share it with you. The message about the current situation in Egypt is very important. I write to you today with a renewed sense of passion and urgency to the mission we have set out to accomplish. On January 26th, in lieu of protests that continue to threaten the government of Egypt, president Hosni Mubarak ordered the shut down of the Internet. The entire country of 83 million people has fallen silent. Now more than ever people are starting to discuss what many already believe: Internet access is a fundamental human right. Switching off or tampering with the Internet is a violation of people's right to freedom of speech. In response to Egypt's actions the White House press secretary commented: "We believe that the people of Egypt have a right to freedom of expression and freedom of speech, and that includes the use of the Internet." The news and updates coming out of Egypt have slowed to a trickle. The Egyptian uprising started after the successful overthrow of the ruling regime in Tunisia. The overthrow was catalyzed by the power of the Internet and social networking. We admire the strength of individuals who fought for their freedom. We will persevere in our pursuit to buy a satellite and build a global communications network to protect and grow our information society. Currently there are 5 billion people without Internet access. 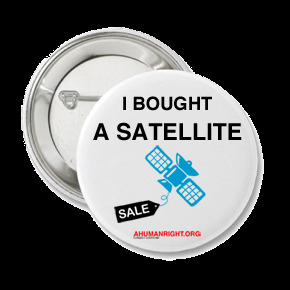 We invite your continued support of http://buythissatellite.org and other campaigns that http://ahumanright.org will pursue in the future. Thank you for your support.